Do you have a smartphone? What are your favorite apps? Although I love technology, I must admit that I am just getting on the smartphone bandwagon and have only began to tinker around with apps. But one thing I have noticed that it is a whole variety of apps out there. From the ever popular Angry Birds to WordPress for Android, apps are available for a myriad of purposes, platforms and from multiple sources. Whether you want to stay connected, to be entertained, or to be more productive, there is an app for that. In the same way, whatever Scripture we read, even those less quoted ones, there is application for that truth in our life. It’s not enough for us to just read God’s Word but we must apply His word to our every day living. Are you just downloading(reading) apps(God’s Word) but failing to put them to use? 1. We like a quick fix. It’s much easier to just check Bible reading off our daily to do list. But it’s harder to take extended time meditating on the Biblical truth, which we read . 2. Distractions abound. Into today’s connected society there is always another post, status update, text message to read or activity to be involved. 3. Application requires action. 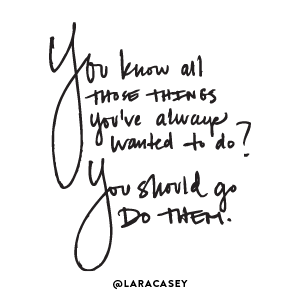 Often it requires action that is opposite of the way we have always done things. And to really apply the Word means we have to change. Although just reading God’s Word is easier, it’s only when we apply God’s Word that we become spiritual mature and more productive. A great and an unusual subject for the start of the challenge. I have a smart phone but don’t have too many apps at the moment. Good luck to you as well Yvonne. It’s probably smart to be careful. Best wishes in the challenge. Clever tie-in! And I do NOT have a smartphone yet. Fun stuff – and i love the challenge. Thanks Joanne. It’s my goal to stay as close to my original blog theme as possible during the challenge. Great post! I try to stay app simple, because too much is just too much for me. Looking forward to visiting you during the A-Z challenge. I like your approach Elizabeth. This is a wonderful post and something to keep in mind. I use every app and and make a point to read every book I download…thinking that they cost money or time…when downloading and applying God’s word should be first priority and is the easiest and smartest things to do! Hi Stephanie, you sound like a conscientious downloader. All the best to you in the challenge. Don’t forget the A to Z Challenge begins today – although app fits well! And I have an iPad, so I have almost a hundred apps downloaded. I hadn’t splurge on an iPad yet. Indeed App is my A post for the challenge. Happy A-Z blogging. Interesting! Good luck with the A to Z Challenge! Good luck to you as well Jemima. This is my third time around I hope I have enough blogging steam to finish this year. I have too many apps…nice post. Great to visit your site. Be Blessed! Holly Michael recently posted..A to Z Blog Challenge: A is for Agent and other Awesome stuff! Hi Holly, glad to have you stop in. All the best in the challenge. Sounds like a good method baygirl. Good luck in the challenge. Wow, Wanda! You hit the nail on the head with this post. It is just teeming with truth! Thank you, my friend! Thanks Pam. Glad to see you’re participating in the challenge again this year. I am glad ou are on this journey! Ella I have been on the fence about this year’s A-Z journey. I just hope I have what it takes to get through it. That was so neat! Though I don’t have a smartphone…and probably won’t get one nor need one, I am ‘smart’ enough to know what you’re talking about!! 😉 It’s so true how we use Bible reading as rote exercise rather than really getting in there and digging for contextual truths. God bless! And thanks for stopping by! I’ll be talking about one of my favorite scriptures for “B”. Brenda recently posted..A is for April Fools, Of Course! I don’t know that I really needed one either Brenda but for sure I need God’s Word. That’s a nice -app-lication of the a to z challenge! Thanks Andrew. Happy to have a fellow A-Z stop by. All the best to you. I love this post! Yes, it is so easy to understand God’s Word but so difficult to live out! I like what you said about Scripture. I want to find the gems in the Bible that people may overlook because I know God has a purpose for every biblical detail! Blessings on this upcoming week! I pray that you are filled with His glory, strength and goodness! Apps! what a great topic. I do love my apps. I’ve tons of them though I only use a few of them as much-i love my audible app and my netflix app. Am just getting in on the app train LaVonne and trying to be mindful not to overload with phone with useless ones. My favorite apps to download are Bible apps! As my grandnephew said as he was using my iPhone, and then my iPad…”Wow, you sure have a lot of Bible apps!” Yes, I do. God bless you. I look forward to more thoughtful posts! Hi Donna, thanks so much for stopping by. Very good post. I think you could apply this to any situation in which we are motivated to do anything, whether it be decluttering the house, losing weight or finishing that novel. It’s so easy to google the how-to articles but difficult to put them into practice. You’re absolutely correct, It can apply to all kinds of situations. I can’t tell you how many times I have done all the research on a project but never got around to putting my research into action.